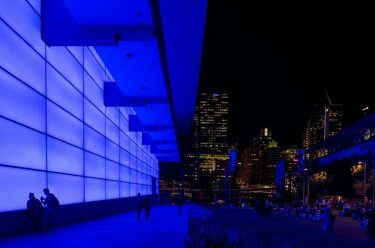 This animation gives a sense of how GOMA will be transformed by James Turrell’s magnificent Architectural Light commission. 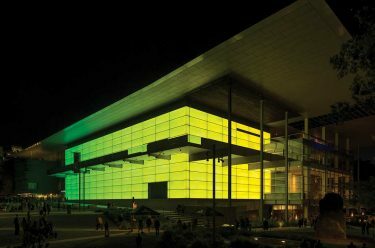 QAGOMA is dedicated to bringing a long-dormant vision for the GOMA building to life some ten years after its opening. The city and community can equally share in this truly public artwork which will be illuminated nightly. 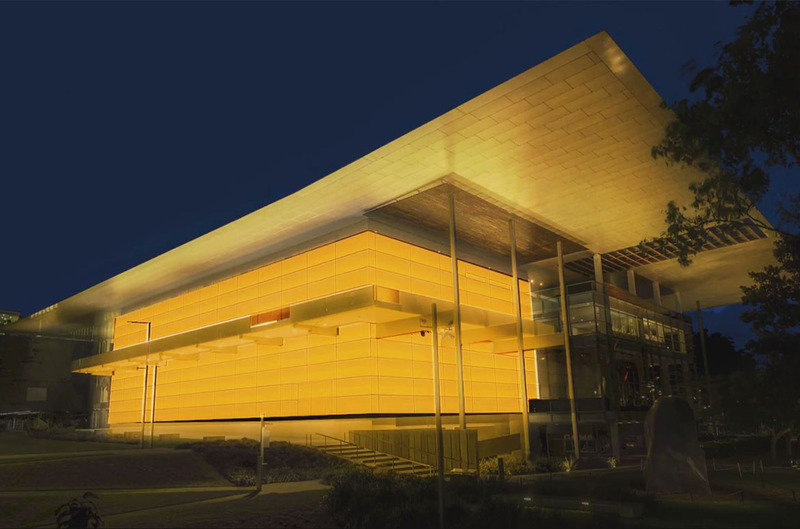 This indicative animation gives a sense of how GOMA will be transformed by a magnificent ‘Architectural Light’ commission by renowned artist, James Turrell. The Queensland Government is joining with the Gallery’s Foundation to complete the original design intention for the building. Without the Queensland Government’s extraordinary generosity, a truly outstanding lead donation from Paul and Susan Taylor, and a significant contribution from the Neilson Foundation, an enterprise on this scale would be impossible. We thank our supporters who donated to the 2017 Appeal. WE HAVE OUR DAY CLOTHES, BUT WHEN WE GO OUT AT NIGHT WE OFTEN DRESS UP. LIKE BUILDINGS, WE HAVE A DIFFERENT LIFE AT NIGHT, AND I HAVE ALWAYS WANTED TO GIVE THIS LIFE TO BUILDINGS, TO CLOAK THESE STRUCTURES IN A BEAUTIFUL RAIMENT OF LIGHT. IT IS AMAZING HOW MUCH LIGHT CAN CHANGE YOUR PERCEPTION OF A BUILDING. You can also watch the Director’s announcement of this stunning commission at the launch of the 2017 QAGOMA Foundation Appeal.